This morning's editorial, "Paying Price for Assault on Coal," joins the long list of previous war-on-coal opinion pieces. Unlike a number of these editorials, however, this one cites some statistics beyond the usual "$1000 electric bills" that is sometimes used to support the editorial's points. Unfortunately, the statistics are cherry-picked and may even be irrelevant to the conclusion. To cover the expense of new plants whose power isn’t needed — Colusa, for example, has operated far below capacity since opening — Californians are paying a higher premium to switch on lights or turn on electric stoves. In recent years, the gap between what Californians pay versus the rest of the country has nearly doubled to about 50%. If you click on the link, you will not find any blame for the source of the electricity. 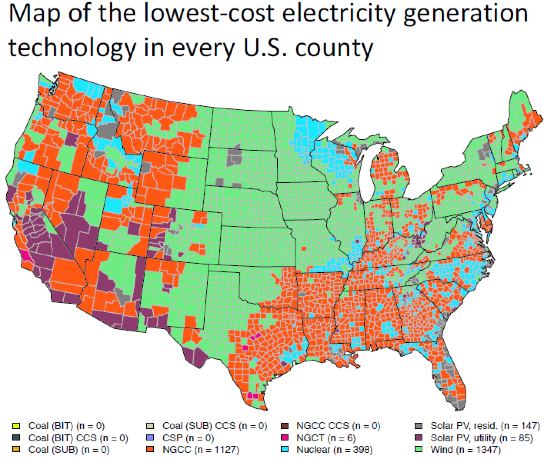 Notably, coal-fired generation was not the cheapest option in any county when externalities were considered. Incoming president-elect Donald Trump has promised to revitalize the U.S. coal industry, though most experts suggest there is little he can do over the long term because of a range of macroeconomic trends that are working against coal-fired power.